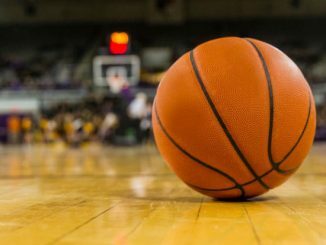 On Monday night, the Illinois Fighting Illini will go on the road to take on the Wisconsin Badgers. Illinois comes in with a 10-15 record and is in 9th place in the Big Ten. Wisconsin comes in with a 17-8 record and is ranked number 22 in the country. Illinois is coming off a solid 63-58 win at Ohio State on Thursday, which pushed Illinois’ winning streak to 4 games. Trent Frazier and Ayo Dosunmu tied for the team lead in points with 15on a combined 10 of 21 shooting night. Frazier and Dosunmu also tied for the team-high in assists with 3 a-piece. Giorgi Bezhanishvili tallied 13 points on 6 of 9 shooting and led the team in rebounds with 7. Andres Feliz chipped in 9 points and 6 rebounds in 22 minutes off the bench. Wisconsin is coming off a 67-59 home loss to Michigan State last Tuesday to extend Wisconsin’s losing streak to 2 games. 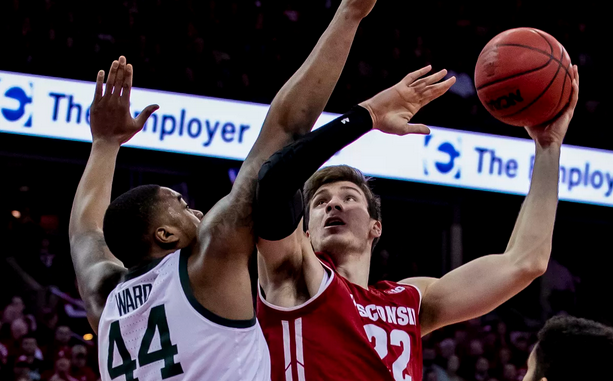 Ethan Happ led the way for the Badgers, scoring 20 points on 10 of 20 shooting, but went 0 for 6 from the free throw line, which has been a struggle his entire career. Happ led the team in rebounds with 12. Nate Reuvers was the only other Badger in double figures with 11 on 4 of 7 shooting. Happ, D’Mitrik Trice, and Brad Davidson all tied for the team lead in assists with 3 each. Illinois’ leading scorer is point guard Trent Frazier, who is averaging 14.7 points per game. He is followed by Ayo Dosunmu, who is averaging 14.2 a game and is shooting 41.8% from 3-point range. Dosunmu also leads the Illini in assists with 3.2 per game. Giorgi Bezhanishvili is chipping in 12.2 points a game and leads the team in rebounding with 5 per game. The Fighting Illini have not been bad on offense, as they are averaging 74.4 points per game and are shooting 43.6% from the field on the year. However, their defense has not been good as they are letting up 74.8 points per game to opponents. Ethan Happ leads the Badgers in all 3 major statistical categories. He is averaging 18.4 points per game and is shooting 54.5% from the field. He also grabs 10.5 rebounds per game and dishes out 4.8 assists per contest. The one downfall to Happ’s game is his free throw shooting, which is at 44.5% for the season. The next highest leading scorer is D’Mitrik Trice, who is scoring 12.7 a game and is shooting a team-high 44.2% from deep. Brad Davidson is the only other Badger averaging double figures with 11 a game and is shooting 41.7% from beyond the arc. Wisconsin is scoring 70.1 points per game on 46.7% shooting and is holding opponents to 61.3 points a game. Wisconsin comes in at -9.5. Illinois has been playing good basketball lately while Wisconsin has been reeling a bit. Illinois is pretty good offensively and should be able to score even though Wisconsin is strong on defense. Wisconsin has just had trouble scoring points, and I think they continue to struggle here. 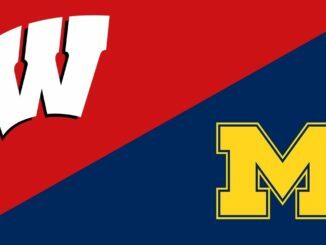 Wisconsin will win this game, but it won’t be by double digits. Take Illinois +9.5. Earn up to $520 in bonuses at 5Dimes. Bovada is our most recommended ONLINE CASINO and POKER ROOM for US players with excellent deposit options. Get your 100% signup bonus today. USPO Short Deck — Sean Winter Wins! Why Play at Ignition Poker & Casino? HUGE 100% bonus up to $1,000 + FREE $5 chip to use in their casino. FISHIEST cash games anywhere, anonymous tables and Zone Poker. Read our Ignition Poker Review today.